Here’s a fun commission from the rock music magazine of choice, Kerrang! 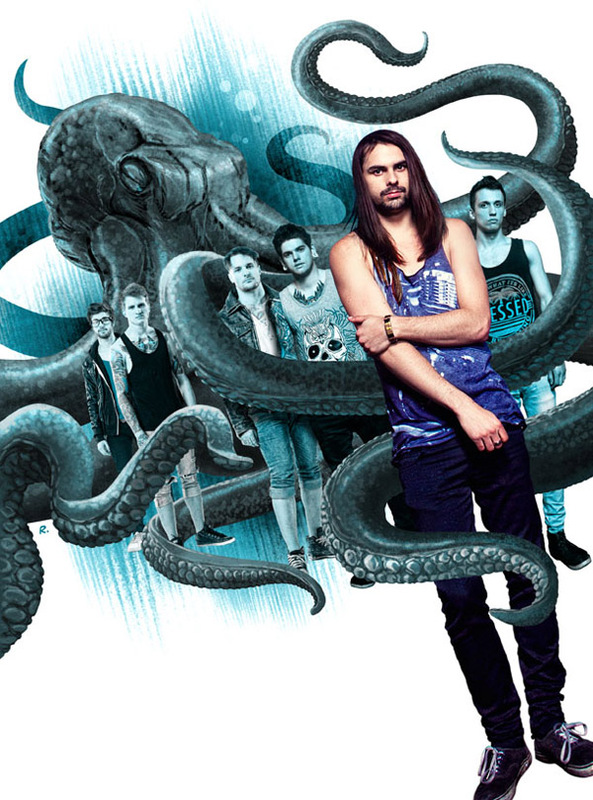 The regular feature ‘Introducing’ by Katie Parsons asked me to add a bit of life (and a giant octopus) to some stock shots they’d received for French-Canadian band ‘Skip the Foreplay’. The brief really was: “We would like a giant octopus coming down from above with its tentacles wrapping around members of the band.” Cool, can do!